Stephen Curry comes to mind. Dwyane Wade, too. And then there’s CJ McCollum, Joakim Noah, and, of course, Carmelo Anthony. Serious college basketball fans knew who these guys were before the NCAA tournament started. But after the tournament, every casual fan did, too. That’s what the Dance does. It turns what’s-his-names into household names. So I asked Huskies coach Mike Hopkins what this stage could do for some of his players. He took out a pen. “You just helped make a great point for me. Can I write this down?” he said. Factually speaking, this is a little embellished. Syracuse trailed by 17 in that first half, and Anthony led the team in scoring in all but one game (although he did struggle in the Oklahoma State game, going just 5 for 16 from the field.) Conceptually, however, this is on point. The season before Curry’s breakout year at Davidson, he scored 30 points and hit five three-pointers vs. Maryland in the first round of the NCAA tournament. But few remember because Davidson lost. The next year, though? Forty points in a first-round win over Gonzaga. Then 30 points in a second-round win over Georgetown. Then 33 points in a Sweet Sixteen win over Wisconsin. This is how it worked with Wade, who went to the Final Four with Marquette. And Noah, who won two championships with Florida. And McCollum, who helped beat Duke as a No. 15 seed at Lehigh. All were picked in the lottery after declaring for the NBA draft. Right now, the Huskies have two players — sophomore Jaylen Nowell and senior Matisse Thybulle — who appear on mock-draft boards. NBAdraft.net has Nowell going 34th and Thybulle going 42nd. ESPN, Sports Illustrated and Bleacher Report all have Thybulle going late in the first round but don’t list Nowell. The tournament can alter those projections for the better, but only if a standout performance comes with a victory. So is this a point you’re going to make to your team? I think Hopkins may have left a word out somewhere, but you get the point. Tournament history has shown us that individual stardom is concurrent with team success. This may be an audition for a bigger stage, but hogging the spotlight won’t get you cast. Thybulle and Nowell weren’t available Tuesday as they were taking finals, but it’s interesting to compare their situations. 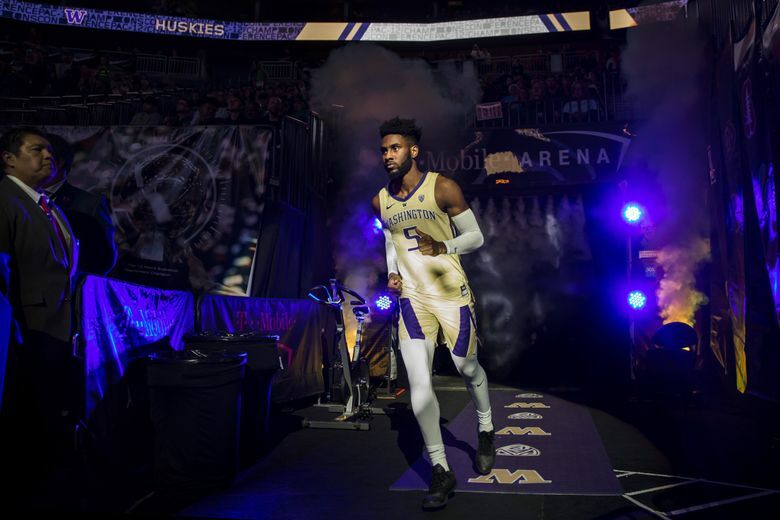 Thybulle, who set the Pac-12 season and all-time steals records in Las Vegas last week, has the chance to show that he can dominate defensively against the best talent in the country — particularly if the Huskies can beat Utah State and face North Carolina in the second round. Nowell has the chance to prove that he is NBA worthy — maybe even first-round worthy — knowing that he’ll likely return for his junior season if he doesn’t. Surely, Washington fans want Nowell to come back, but they’d probably be OK if he left. It would mean that he balled out in the NCAA tournament. But it would also mean that the Huskies kept winning.